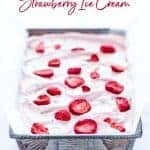 This simple homemade strawberry ice cream recipe is easy to make and does not require an ice cream machine. It gets all it’s flavor from fresh, in-season strawberries and added color and flavor from freeze dried strawberries. It’s a great make-ahead summer dessert! Hello easy, summer dessert! Strawberry season is almost upon us which calls for making all the recipes calling for fresh strawberries! 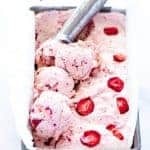 While Gluten Free Strawberry Shortcake will always, ALWAYS be my number one favorite way to enjoy eating fresh strawberries, this no-churn strawberry ice cream recipe is a close second. And I really do mean close. So far this year, I’ve already made a Strawberry Icebox Cake; which happens to be another favorite. But seriously, how is it even possible to choose a single favorite dessert when you’re a gluten free baking and dessert blogger? The answer is that it’s not possible. Not. At. All. 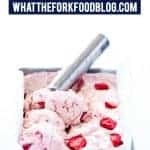 I know you guys are going to enjoy this homemade strawberry ice cream recipe. Why? 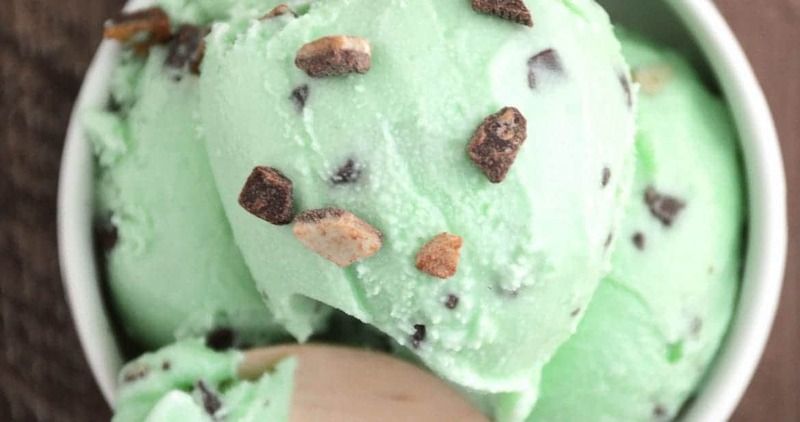 Because it’s really simple to make and there’s NO ice cream maker required! 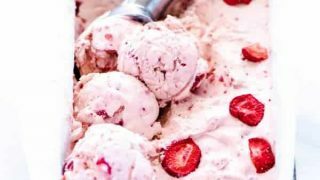 This ice cream gets an extra boost of strawberry flavor from freeze dried strawberries that I turned into powder with my food processor. 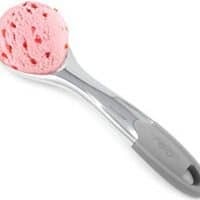 It also helps to give the ice cream a subtle, natural pink hint if you don’t want to use food coloring. One thing to keep in mind, when you’re cutting your fresh strawberries up, make them nice and tiny. Once they freeze, they turn into icy chunks of berry – not fun to bite into if they’re big, huge pieces. So keep them teeny-tiny! 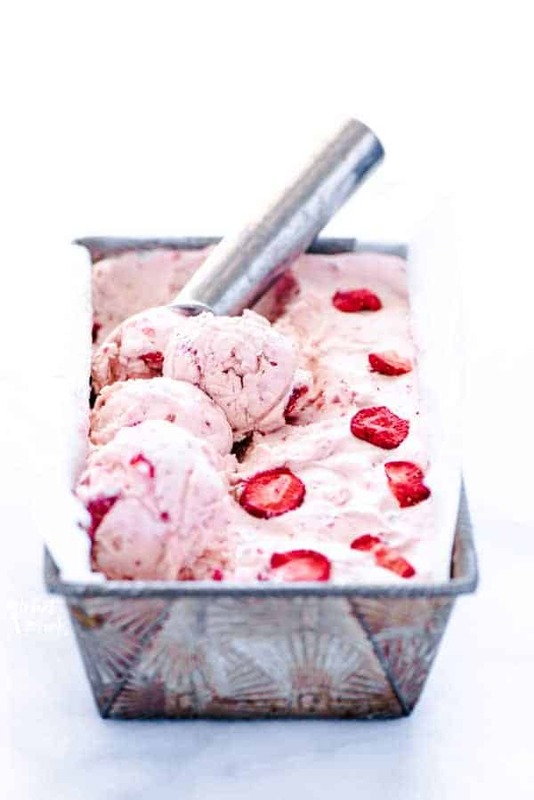 This strawberry ice cream recipe is truly best with in-season berries. They’re sweeter and have a lot more flavor than the strawberries from the grocery store when they’re out of season. Trust me on this one, it makes all the difference in the flavor and final outcome. 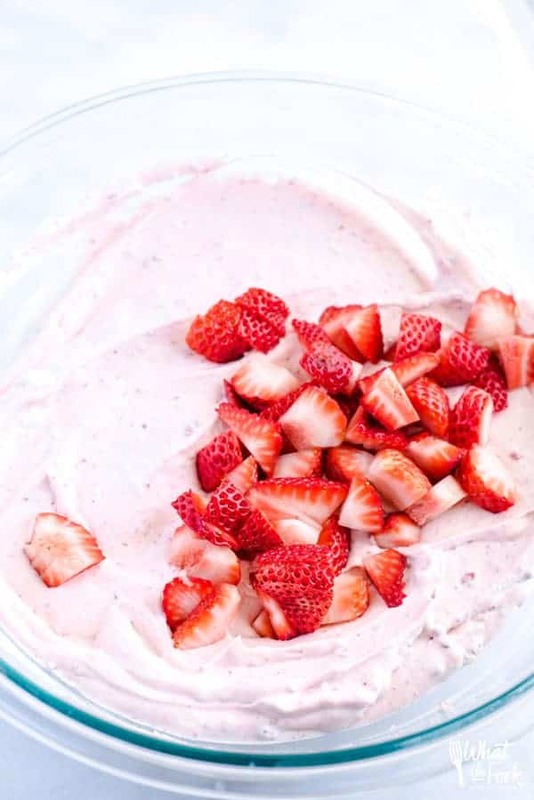 Add the freeze-dried strawberries to the bowl of a food processor. Process until the strawberries are a fine powder. Set aside. 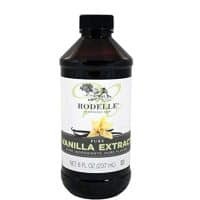 Add the heavy cream, vanilla extract, pinch of salt, and red food coloring (if using) to a large bowl or bowl of a stand mixer fitted with the whisk attachment. 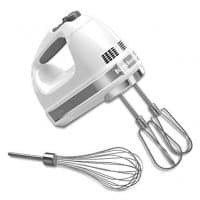 Whip on low speed with an electric hand mixer and whisk attachment or with the stand mixer. Once the cream starts to thicken, slowly increase the speed to medium-high and continue to whip until soft peaks form. Gently fold in the powdered freeze-dried strawberries and sweetened condensed milk. Once incorporated, fold in the fresh strawberries. 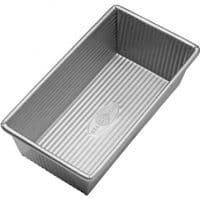 Transfer to a 2-qt freezer safe container. Freeze for 2 hours then serve. For more of a soft-serve texture freeze for 1 hour. Be sure your strawberries are finely diced, they will freeze solid once the ice cream is hard so large pieces will be harder to eat. This is perfect. I don’t have an ice cream maker, but I do have a freezer. 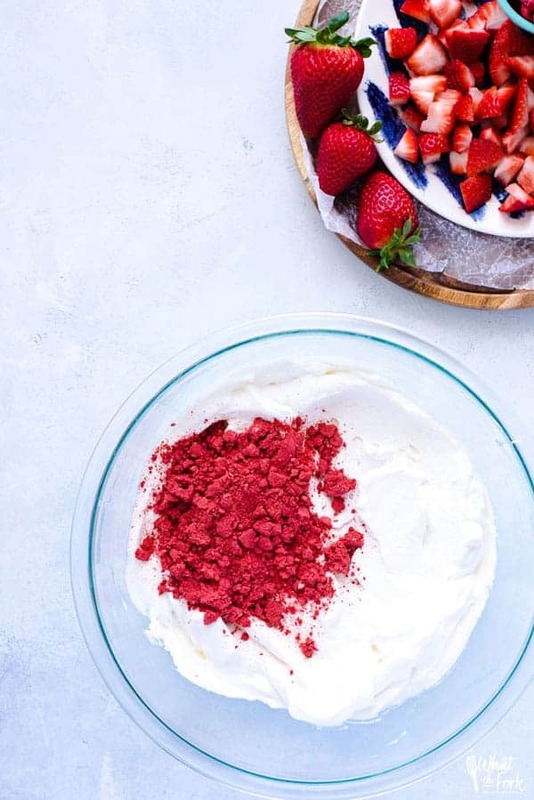 The powdered freeze-dried strawberries is genius! 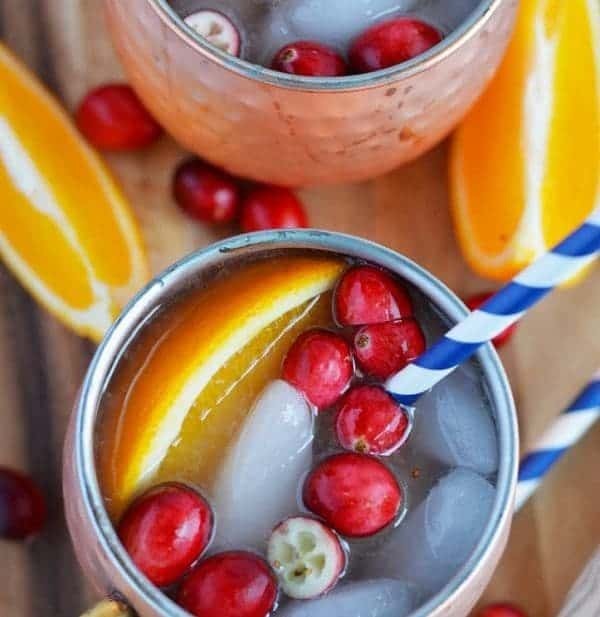 The recipe looks amazing and your photographs are just beautiful! 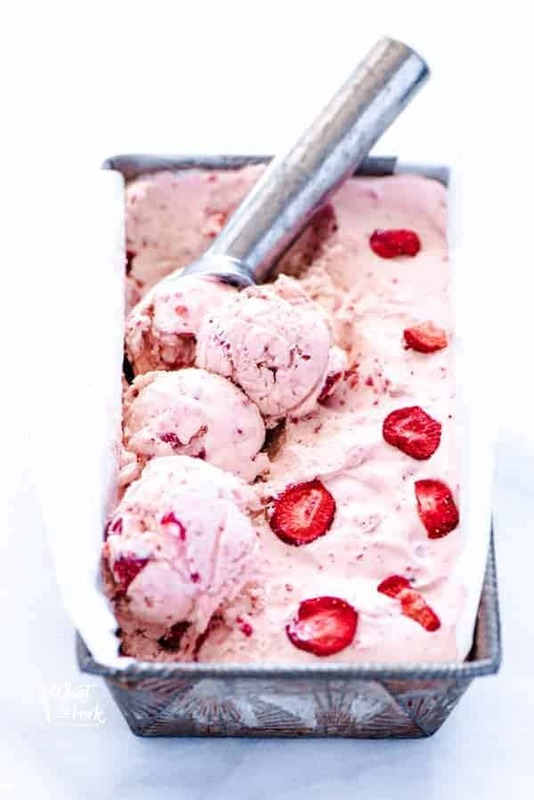 good idea on the TEENY pieces of strawberry… this sounds SO good! 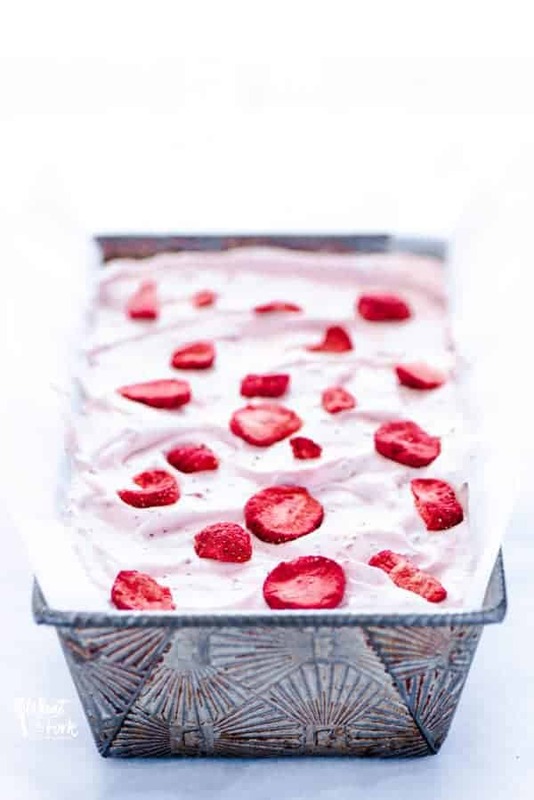 I’ve been loving the fresh strawberries lately, and this recipe looks perfect for summertime. Love the bits of strawberry inside. 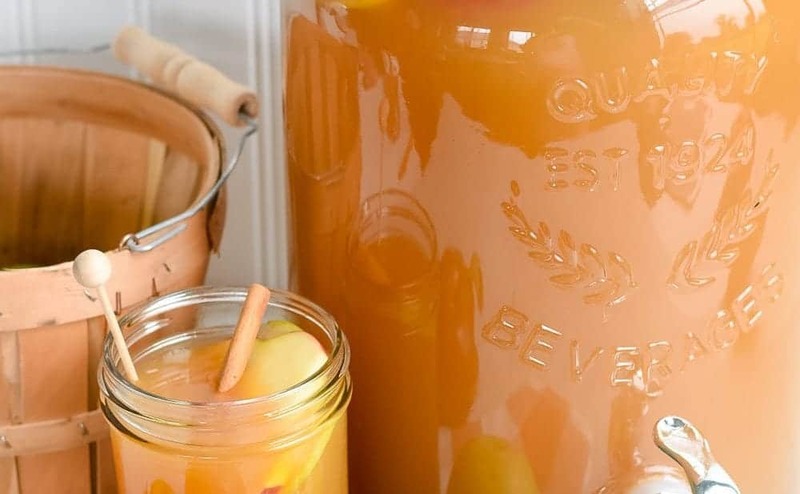 I haven’t done a lot of no churn recipes, but this recipe makes sense that it would work well.